How to trade in range breakouts? Normally, when a price breaks out of a range on the charts, it is indicative of a new direction in the stock. One of the techniques that traders and technical analysts commonly use is to look for trading opportunities in the midst of range breakouts. Normally, when a price breaks out of a range on the charts, it is indicative of a new direction in the stock. Of course, the range breakout is just one of the many parameters that go into determining the direction of a stock price, but normally, a breakout gives an indication that something is happening in the stock. This is a good starting point for a deeper probe into the fundamentals and developments pertinent to the stock. 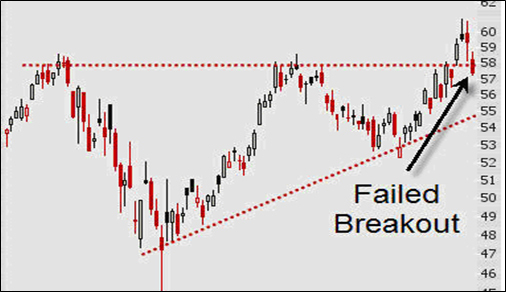 Here is what you need to know about range breakouts to get started. If you look at the historical price pattern of a stock on a chart, quite often, you will find that the price breaks out of a defined range but completely reverses direction after that. Look at the example in the chart below. 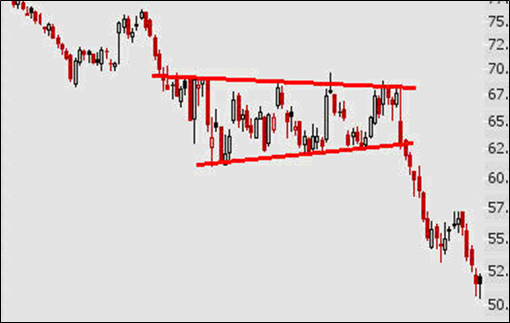 In the above chart, you can see that the stock has given a failed breakout of the charted range on two instances. It gave a small break on the downside but went up sharply after that. Also, after crossing the upper end of the range, the price fell below the range breakout. The big challenge in range trading is to distinguish between a genuine breakout and a false breakout. There are no clear answers but you can look for three cues here. Is the breakout supported by a discernible spurt in volumes? Normally, genuine breakouts are not just supported by an increase in volumes but also by a clear shift towards a higher volume plane. If the volumes remain constant, there is reason to suspect that it could be a false breakout. Check out the news & developments: Normally, breakouts co-exist with news and developments about the company in question. For example, positive breakouts are supported by positive news flows and the converse is true in the case of negative breakouts. Lastly, wait for multiple confirmations. Typically, a single breach of a support line is not a sign that the stock is headed lower. On the other hand, if the stock goes below the support line, then makes multiple attempts to bounce back but faces resistance at the support, then it is a ratification that the downside breakout is genuine. This is a key issue. A breakout analysis is not very meaningful in the case of stocks that tend to be too volatile. Such stocks don’t follow a steady pattern and are very hard to really define in terms of ranges of supports and resistances. Hence, working out breakouts is also very difficult. The most important thing you need to focus on is the past charting history of the stock and whether it is displaying a discernible pattern. Check the chart below. The price chart has shown a very clear pattern of respecting the supports and resistances in the narrowing band. That is why the break below with long candles is a very clear indication of a downside breakout. In such cases, it is less risky to bet your money on such a breakout. Trading in breakouts is not just a science but also an art, which you cultivate over a period of time and with a lot of practice. 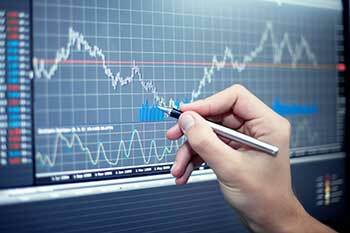 Here are four key questions you need to answer while trading in breakouts. Where to initiate the breakout trade? If you are betting on a breakout on the downside, then initiate the trade below the support band. You must initiate the trade only after you get multiple confirmations. In the case of upside breakouts, you must initiate the long trade above the resistance band after multiple confirmations. Where do you put the stop loss? It will depend on the extent of the trade you are playing for. Ideally, the stop loss should be above the support line for short trades and below the resistance line in case of long trades. Ideally, wait for multiple confirmations to avoid the risk of stop losses getting triggered. Are all breakouts explosive? Generally, most breakouts are explosive in nature and can lead to big profits if identified at the right time. Today, you can plot simple channel breakouts and more complex pattern breakouts like triangles, flags, and head & shoulder patterns. Keep a clear profit target either on an upside breakout or on a downside breakout. Either way, set your target according to the intensity of the breakout. Ideally, after a point, keep a trailing stop profit to reduce your risk. All in all, if executed right, trading in range breakouts can be fairly profitable!